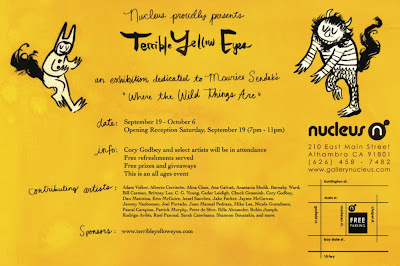 For those in the Los Angeles area, Saturday night is the opening for the Terrible Yellow Eyes showing at Nucleus gallery. 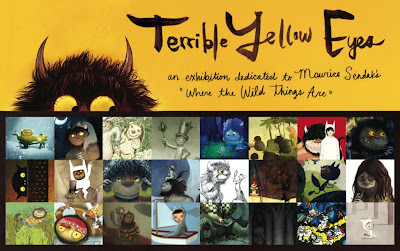 It's a stunning collection of work, and I have no doubt the who's who of the artist community will be showing up. I'll be caught in the throws of Rosh Hashanah, but wish I could make it. The least I can do is pass the event on to everyone who can.